MountainMama: On Your Mark....Get Set.....GO!! The official kick-off to gardening season has well and truly arrived to my mountain top home! I couldn't be happier, even though I know I am in for months of hard....yet very rewarding....work. You know I've been prepping the veggie garden for a while now, working in stages to get it ready for another productive season. When I do things in stages it doesn't seem so overwhelming....do you tackle big projects in stages also? Anyway, when I last left off, I had cleaned up the garden and amended the soil - stage 1 was complete. 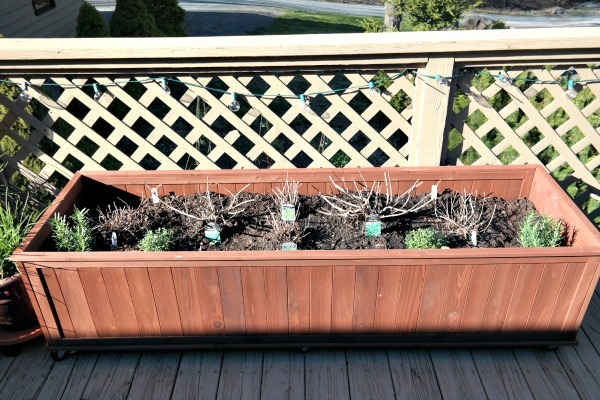 Next, I removed all the perennial herbs that were in the garden and transplanted them to my new herb garden on the deck. I also removed all the Ajuga that was taking over the veggie garden. 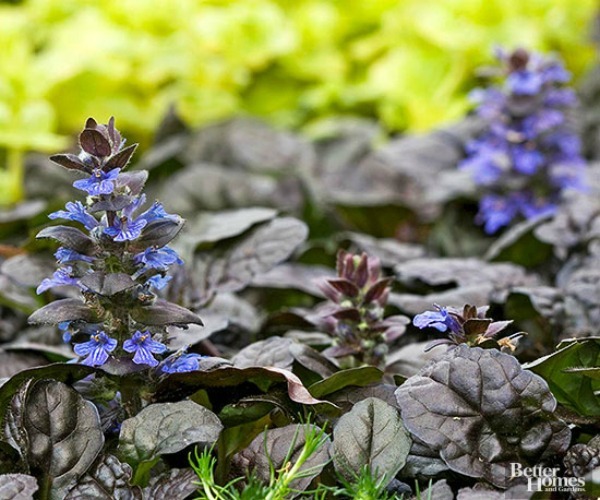 Don't get me wrong, I love Ajuga. I just think it's better planted in other areas in my garden, rather than taking up valuable real estate in my tiny veggie garden. The garden was now a blank slate, ready for the next phase. 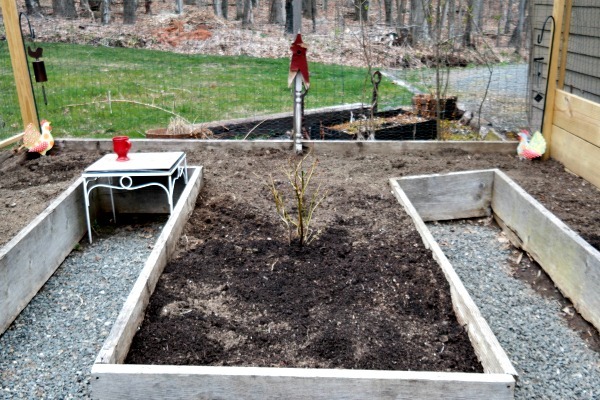 But, before I could start planting, I had a few final things to do in preparation. 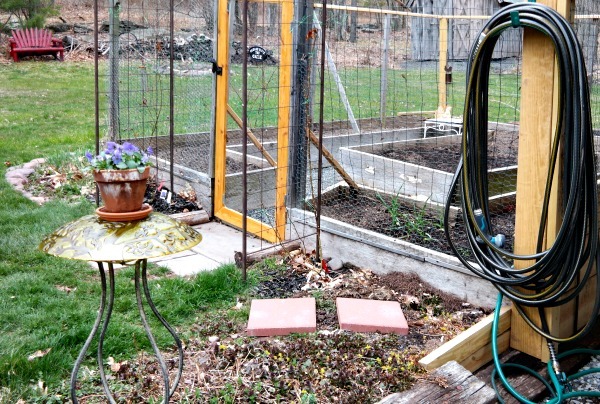 This year I decided to install a drip irrigation system to save myself a little work. Not that I really mind watering, but when I have many other gardens that need my attention as well, it's nice to have a little help. 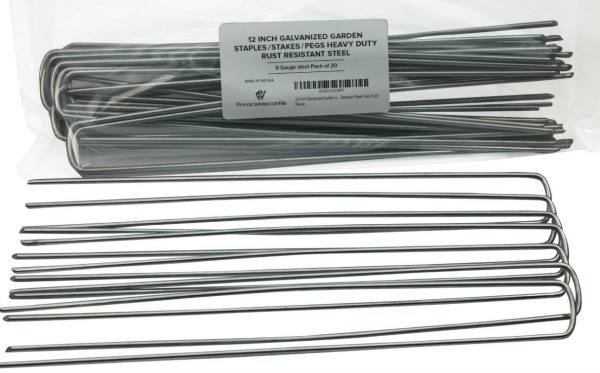 I purchased a 75 foot flat soaker hose, thinking this would be more than large enough for my tiny garden. Nope, I had to add another 25 foot hose. Oh well. 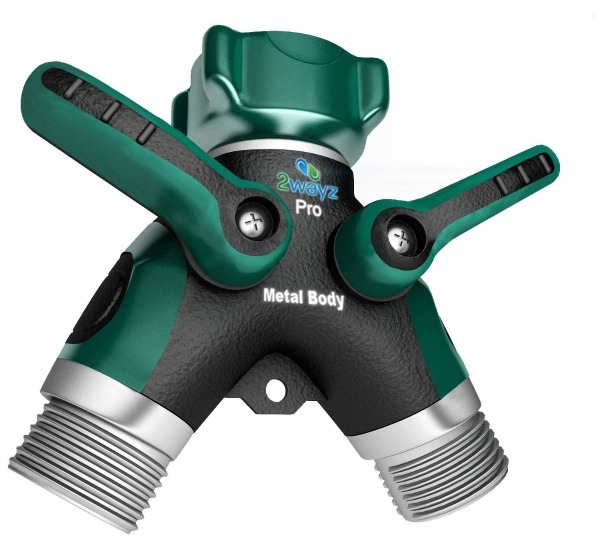 Then, in order to be able to have both a soaker hose and a standard hose with a spray nozzle coming off the same leader hose, I bought a splitter. In case you were confused. You know what else is confusing? 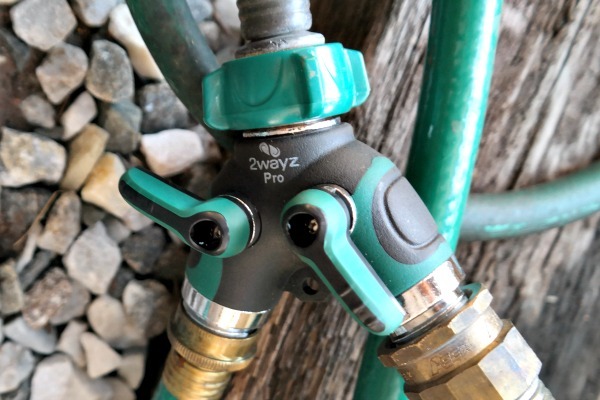 Why would people who loved to garden (like the folks I bought the house from) have only ONE hose spigot? I had to get a 4 way splitter in order to be able to run hoses to every place I needed one! 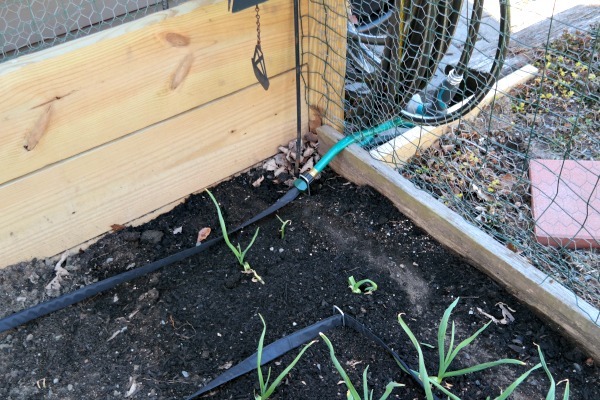 Anyway, there's a leader hose (the green one) that goes from this spigot under the deck, creeps along the edges of the patio, and ends up by the veggie garden. 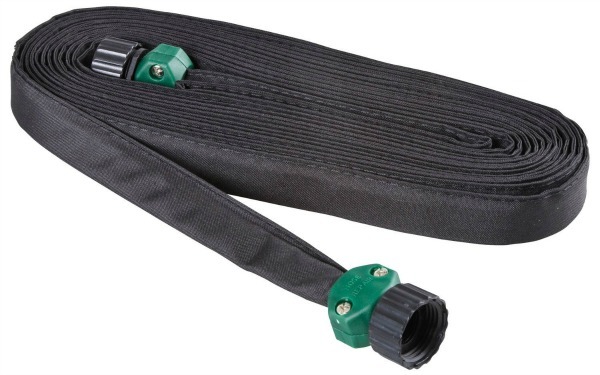 The leader hose is then connected to the two way splitter, with one side being used for the soaker hose and one for the standard hose. It's not the prettiest setup, but it does the trick. I had another small leader hose that I hooked into the splitter, and ran it under the fence in the corner. 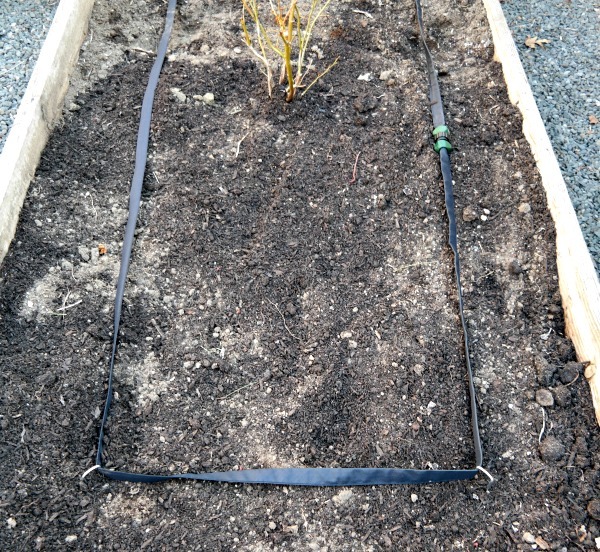 I then attached the soaker hose to that small hose, and started running it around the garden, using large garden staples to secure it. The garden staples were very easily tapped into the soil with a rubber mallet. I'm very pleased with the results! My sweetie has a water timer he's not using, and he will bring that over so that I don't do what I have often done in a previous home.....which is, turn on the soaker hose and then get busy with something else and forget it's on. 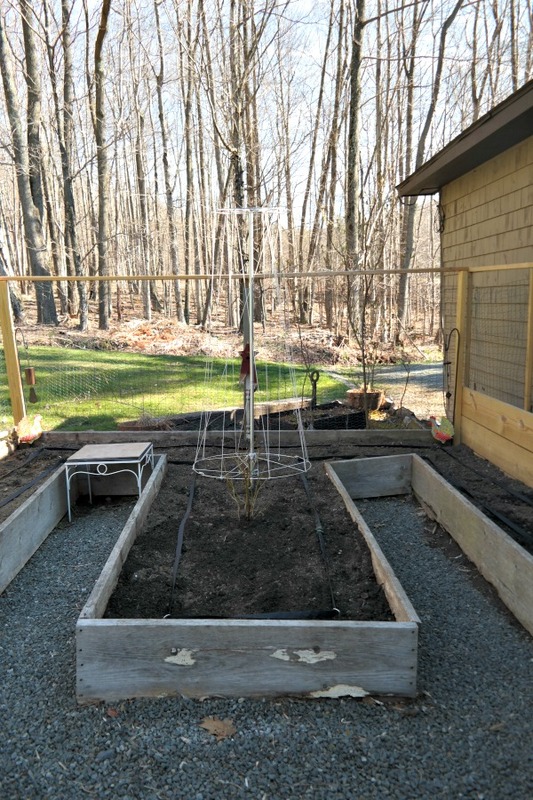 Another thing I had to do before I could start planting was to install a bean tower. It's a little difficult to get a good photo of it, but it's quite large at the base so I really had to determine where it was going before I planted anything. Not that it's time for planting beans just yet, but it will be, soon enough! Last year I had the beans planted along that back fence and they grew up the fence and into the lilac and bent it right in half. Can you see the beans in the top right of this photo from last year's garden? They were insane. It's amazing the lilac is still alive. When I cut the beans down at the end of the season it bounced back up....incredible. 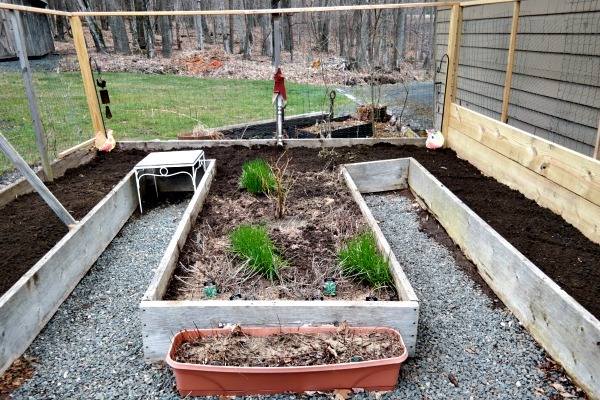 This is a photo of the back of the veggie garden. That whole mass of green on the left side of the fence is a giant jumble of beans strangling the lilac. Anyway, this year I looked into other options and found this bean tower over at Gardeners Edge. It was a very simple assembly - the hardest part was keeping the string from knotting as I was running it up and down the tower. It will be so simple to clean up at the end of the season, snipping the strings and tossing both the strings and the bean vines. Beans are STRONG and it's tough to untangle the vines from a fence....or a lilac! Trust me on this one....it took me hours to undo the vines from that poor lilac. 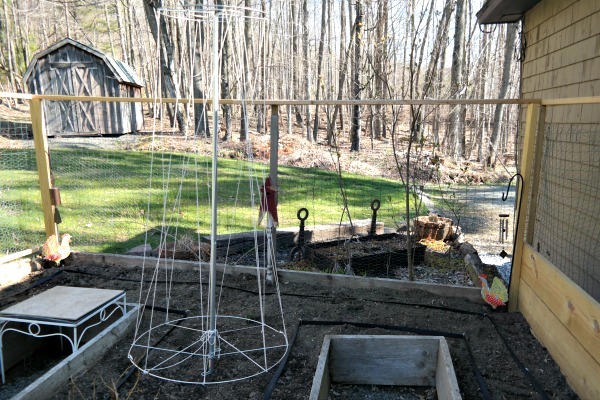 So, the bean tower is in place, the soaker hose is ready to go....all that's left is to start planting! There are a few things that I am planting this year that prefer to start off in a cool garden. They are supposed to be planted before the last frost, believe it or not. I also planted some dried up garlic cloves I had from last year's harvest. I'm not sure they will grow, they may be too far gone....but we'll find out! I'm beyond excited to see what pops up first! Meanwhile, the seedlings are doing very well inside, and it won't be that much longer before they join their little friends in the veggie garden. Which also excites me to no end. I'm lame, remember? It's truly the simple things. Isn't nature amazing? It just feels like a rebirth every single spring. By fall, I'm tired and ready to give up the garden gloves for a little rest. But we have a long way to go until then....and I can't wait to see the results of all my hard work. What's happening in your little patch of earth these days? 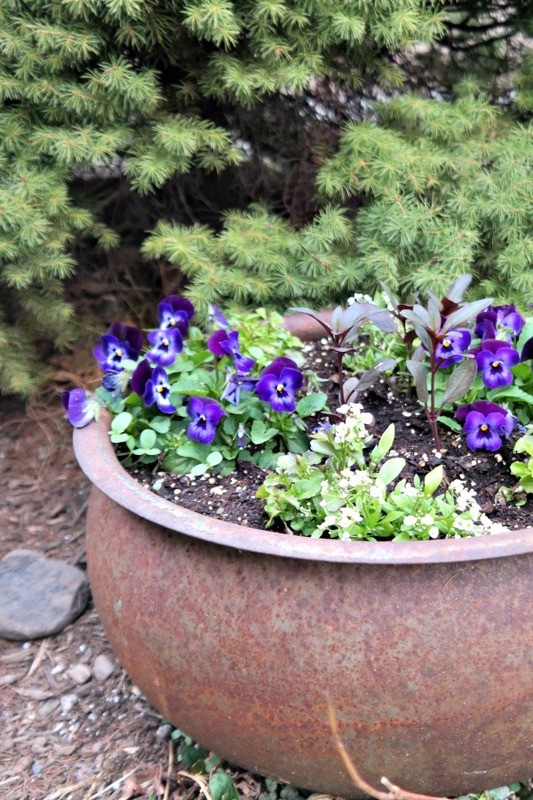 I have loved to garden ever since I bought my first house back when I was just a youngster! I guess it's in my blood, Susie - my parents have beautiful gardens and I grew up watching my mom and dad out there working hard to create all that beauty! It all is looking so wonderful! Lots of hard work for sure but youll be so glad you did it! 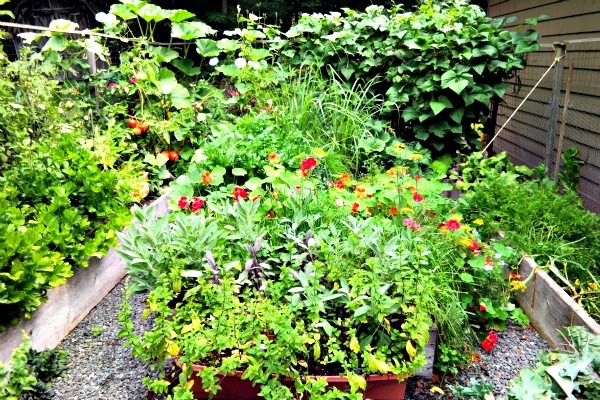 I loved seeing your new herb boxes too... That is going to be amazing and smell so good later this summer! I have to restrain myself not to keep pulling leaves off the lavender and let it get established - I just love the smell of fresh herbs! Your garden looks lovely. We are commercial growers and still have so much to get in the ground and so many more acres to convert. I'm already tired lol. I'm tired just thinking of all the work you do, Valerie! I don't know where you get your energy!! How gorgeous your garden looked last year. No wonder you were so anxious to get started, again this year. Pace yourself, and take care of that back.Hope you have a great weekend. It truly was gorgeous, Phylis - it was an explosion of color and fragrance! It will be a bit different this year as I moved the herbs....just making room for more veggies! Why thank you kindly, Lisa! You're ready for what comes your way in the garden! I read that it's better to water in the morning. 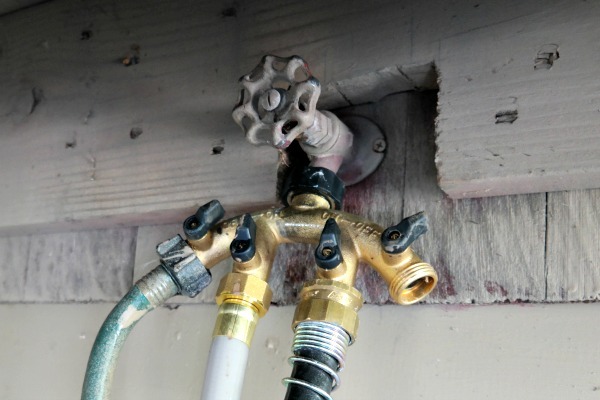 So you might want to look that up for those drip hoses. 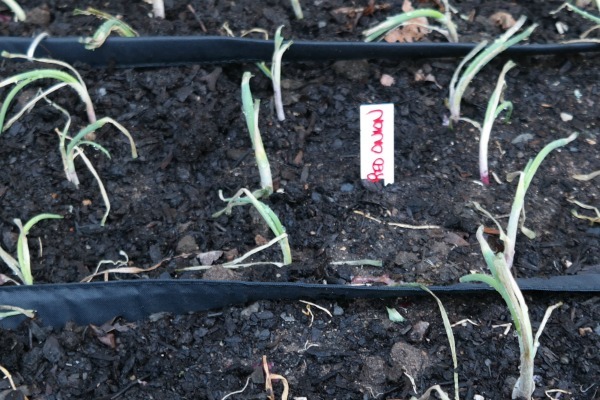 It is much better for the roots to be watered very slowly with those set-ups. Gets to the roots and doesn't drown them. I am enjoying listening to the water outside. Enjoying it all. You're right, Brenda - I must set the timer to water in the morning before the sun gets too hot. You are so smart to have a water feature on your patio - helps so much to mask 'other'noises! loved it- it looks amazing and your hard work will pay off in the form of fresh, organic, and as local as we can get meals! 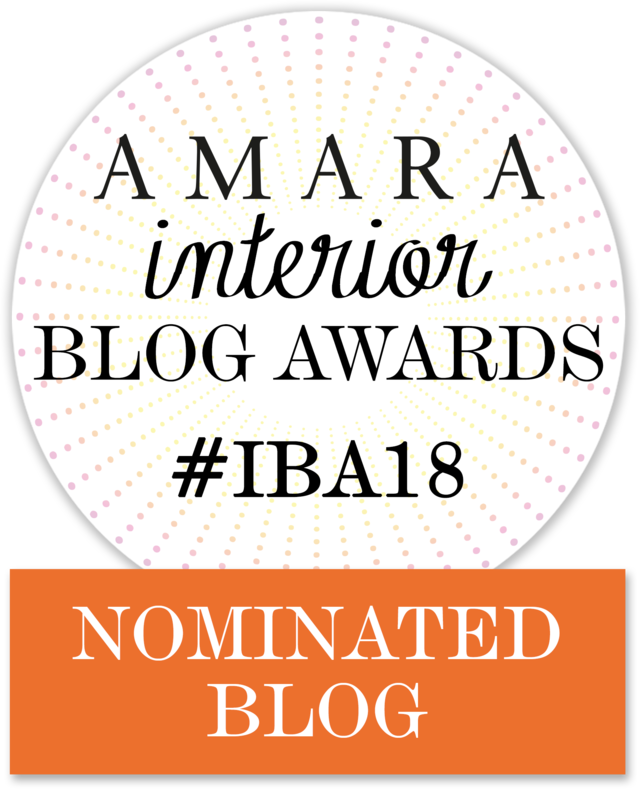 You have done so much work so far - you put me to shame! I just spent over an hour in my yard this afternoon digging up weeds and pruning my butterfly bush and now my back is killing me. We have a freeze warning tonight so I'm going to cover my rose bush (it already has leaves on it) and put my potted pansies in the garage. Our weather dipped down a couple of nights but no frost, thankfully. We have today and tomorrow where the temps are supposed to go to 31....hopefully everything will be ok! Wow, you are really doing a great job setting the stage for all those blooms...eye candy and edible!! I can't wait to see what you do next! Can you call a garden gorgeous? Well I think you can and your's is. Love the bean pole and the water irrigation. I have the soaker hoses but did not know about the hooks. I'll be getting them too. They are so great, Barbara, for keeping the soaker hose in the spot you want it!! Let's hope it works out the way I see it in my head! That is a lot of progress, your garden is going to be wonderful. I can't wait for fresh basil and tomatoes from mine! I planted squash and onions too. I just started my basil seeds indoors....but I have a tiny pot of basil by the kitchen sink that helps me get through until the garden is in full swing! You are so right, Donna. 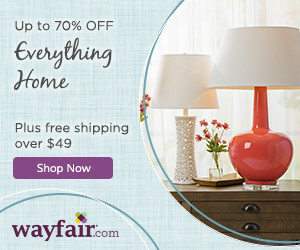 I would love one on each side of the house! The planting has begun and pretty soon we'll be past the typical last frost date....woo hoo, I can't wait!! I have to take advantage of my days off to get things done when I can, Deb! You are doing just great! You sure have a lot of energy too. Enjoy the planting, watching things grow and then the harvesting. My energy wanes, believe me....but I push on because I have limited time off to take care of this stuff! You flatter me, Deb! Remember, I'm a city girl transplanted to the country (by choice) so I am always learning more each season as well! We can learn together! I mowed and used a weeding tool to get rid of about a BILLION dandelions. And that was just in one section of the yard!! I gave up at that point....I'm fighting a losing battle! Today's rain should help things out a ton - we might actually see some leaves on the trees after this downpour!! Looking forward to popping over to you for a visit as well, Lori - can't wait to see your farm! I am gardening through vicariously, Mountain Sister. Wow! Awww, thanks, Debbie - you're too sweet! One thing is for sure - you know WHAT YOU'RE DOING!!! I'm impressed! 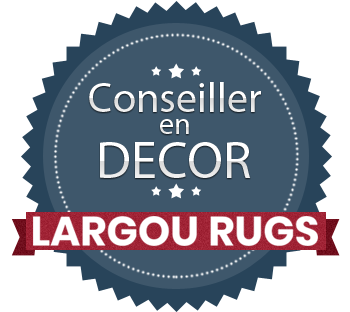 Thanks for sharing and linking. I am learning more and more with every year I am alive and kicking, Bernideen! Ha ha, Betty, I think you are so right about that!! Wow. You have really thought things through. The bean tipi will look fantastic loaded with veg. I can't wait to see it all growing and lovely. Thank you for sharing this wonderful outdoor post on this week's Maple Hill Hop! Right back at ya, Daisy Girl - happy gardening to you!! You're really rockin' it Deborah! So organized, and I don't know where you find the time to do it all! Ahhh, well, you know me.....the original Energizer bunny....NOT!! I push myself to do what I need to since I have limited time to get things done! This is an amazing setup! Quite a difference from my herb box, and a container of cherry tomatoes, lol! Looking forward to seeing how your garden grows! 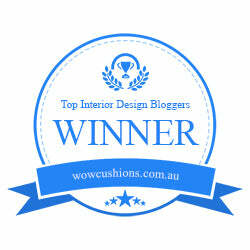 Thanks so much for linking up with Best of the Weekend! I was lucky, Amy - it was already here when I bought the house! Although it needs a little TLC at this point....sigh. Good Morning My Green Thumb Friend! Woohoo you got this gardening business well under control! 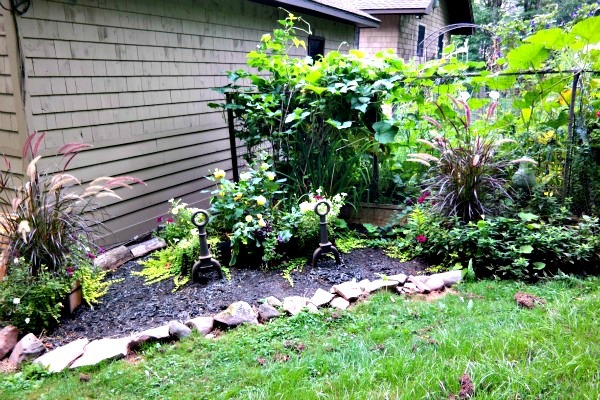 Love the layout of your garden and your organizational skills too! 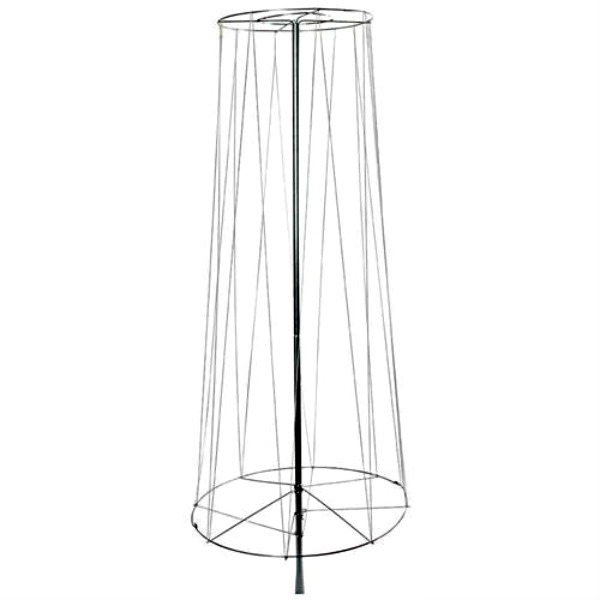 So smart of "teepee," for your pole beans. Our beans are all up and we are making a trellis for them this weekend. Our peas are producing and just in time for the family arriving from California today! Love your gardening passion and thanks so much for sharing it with us at TOHOT! We ate the first greens out of our spring plantings with a poached egg on toast with herbed butter the other day, Jemma - it was amazing to eat something I grew from seed! It's going to look great when those grow up the trellis. Just imagine the wonderful things you'll soon be picking. We are steadily digging our pond here in Rockwall, TX. Hard work! I can't even imagine, Stacey! I dug a small water feature in one of my homes by hand....it nearly killed me, and I was MUCH younger then!! 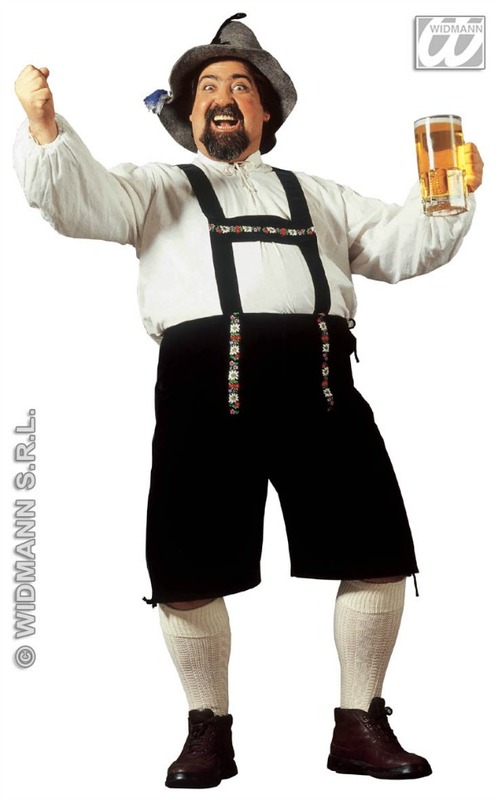 Hee hee lederhosen! looking good. I am a bit late to the TOHOT party due to my college semester finals but I'm so glad that I didn't miss this. Have a wonderful week. Wow! I thought I had a lot of work to do in the garden. I don't know how you do it all. Spring time is so busy with a lot of work. I, like you love every minute of it. I do pace myself now that I am getting older. Although hubby is always amazed that I can keep going for hours. lol! Just being in the garden rejuvenates me. Every year I think it would be nice to add a soaker system, but we never do. :) Thanks for sharing with SYC. I agree, I get completely invigorated when I'm out in the fresh air. I forget about eating lunch and just keep on going!! Entertaining on the Deck - Finally! Spring has Sprung and I Need a Clone! Winter Is Back With a Vengeance!